Stress – physical and mental. Chemical toxins getting into the body from the environment. Excessive intake of sodium chloride (table salt), sugar, caffeine, alcohol, nicotine, cocaine, fizzy drinks (especially colas). Prolonged intense sweating, due to exercise or illness. Malnutrition. This involves not only insufficient food intake but also consumption of nutrient-poor foods. 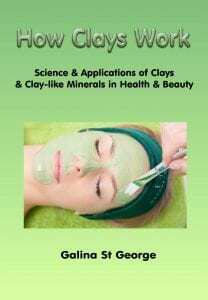 Consuming food products which come from magnesium-deficient soils. Drinking water which is high in potassium. Malabsorption. This can be due to compromised levels of enzymes, or unhealthy condition of the gut. Anxiety and panic attacks. Magnesium helps to keep hormones in balance, and adrenal stress under control. Depression. Serotonin – the hormone responsible for mood regulation – is dependent on magnesium levels being at an optimal level in the body at all times. Detoxification. Removal of toxic elements such as lead and aluminium from the body requires the presence of sufficient levels of magnesium. Diabetes. Magnesium is needed for insulin secretion, to help metabolise sugar. Without magnesium insulin cannot transfer glucose into cells, which leads to the build-up of both glucose and insulin in the blood, leading to tissue damage. Metabolic syndrome. This condition is partly due to insufficient magnesium levels in the body, which leads to insulin not being activated, glucose not delivered to the body cells, and energy not being produced. This slows down body metabolism. Obesity. This is also partly a result of magnesium deficiency, due to malnutrition and slow metabolism. To add to this, there is a permanent cycle of anxiety-triggered overeating, which is both caused by and leads to magnesium deficiency. Of course, one cannot just blame low magnesium level for obesity, but it plays a big role in developing the condition. Constipation. Magnesium deficiency causes slowing down of bowel movement and constipation, which leads to an increase in toxicity and nutrient deficiency. Muscle cramps. 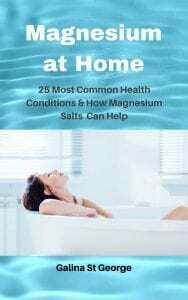 Magnesium is the ultimate natural relaxant. Without sufficient magnesium in the blood calcium takes over, leading to calcification of tissues and cramps. Musculoskeletal problems. 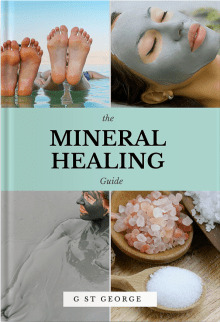 Aches, pains, muscle tension are all made worse where there is not enough magnesium is present in the body. This happens due to insufficient relaxation of the muscles, which can lead to chronic tension, joint problems, inflammation and other musculoskeletal conditions, such as back problems, osteoarthritis, frozen shoulder, RSA, and more. Osteoporosis. Blood contains both calcium and magnesium, and a healthy ratio (approximately 2:1) is important to ensure bone health. Contrary to popular belief, just taking calcium and vitamin D, without supplementing magnesium, may actually worsen the condition, and lead to other problems. Tooth decay. Insufficient magnesium causes an imbalance of phosphorus and calcium in the saliva, which leads to tooth decay. Blood clots. Magnesium plays an important role in keeping the blood thin. Magnesium deficiency leads to thickening of the blood, and formation of blood clots, which is a potentially fatal condition. Arterial plaque/ atherosclerosis. Magnesium is necessary to keep the optimal calcium-magnesium ratio in the blood. When there is not enough magnesium, this ratio gets compromised, leading to the formation of arterial plaque, which consists of excessive blood calcium, proteins and fat. This is also a potentially fatal condition. PMS/PMT – pre-menstrual syndrome/ tension are often directly linked to magnesium deficiency. Pre-eclampsia, eclampsia, premature contractions. All of these dangerous conditions are directly caused by magnesium deficiency. Fatigue. Magnesium is the “energy” mineral. It is the spark needed to convert glucose into energy. Magnesium is also used in the production of a number of enzymes. When there is not enough magnesium in the body, energy does not get produced, leading to fatigue, sometimes chronic. Hypertension (high blood pressure). Being a natural relaxant, magnesium is needed to keep blood vessels supple and open. Heart disease. 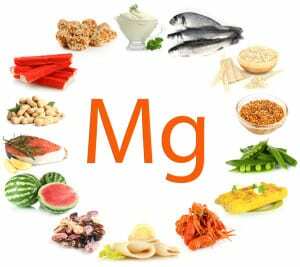 Magnesium deficiency is often associated with heart disease. Doctors have been using magnesium injections for cardiac arrest and arrhythmia for a long time. The heart muscle, like any other muscles in the body, depends on magnesium for relaxation. Where there is not enough magnesium, it goes into spasm, which may lead to a heart attack and other dangerous conditions. Hypoglycemia – low blood sugar level. Blood sugar levels depend on sufficient levels of magnesium in the body which is needed for the regulation of insulin activity. Insufficient magnesium can lead not only to a buildup of glucose but to hypoglycemia as well. Asthma. Insufficient magnesium in the body increases bronchial spasm, as well as histamine production. Allergy. 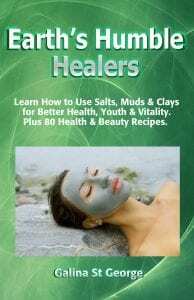 There is a direct link between magnesium deficiency and allergic reaction since magnesium manages histamine production and response within the body. Kidney disease. Magnesium deficiency can lead to abnormal lipid levels and blood sugar control, which can lead to kidney failure. Headache & migraine. Low magnesium levels lead to the narrowing of blood vessels and muscle spasms, which can lead to a restriction of blood flow to the brain. The other factor contributing to headaches and migraines is that serotonin does not get produced in sufficient amounts. Nerve disorders. Nerve tissue depends on magnesium for its health. Magnesium is needed to transmit nerve signals between the brain and other organs and tissues since it activates calcium. Insufficient magnesium leads to peripheral nerve problems, as well as dysfunctions of the central nervous system. These are only some conditions caused by magnesium deficiency. All of them require increased and consistent magnesium supplementation, and oral supplementation is normally not enough. In my next post, I will share with you information on how to supplement magnesium levels in the fastest and safest possible way, without resorting to injections.